Documents from the Trump administration show the president's plan to ship more immigration judges for temporary assignments in border states is encountering a fundamental problem: there isn't enough work for all the new judges to do. Chris Glorioso reports. Documents from the Trump administration show the president's plan to ship more immigration judges for temporary assignments in border states is encountering a fundamental problem: there isn't enough work for all the new judges to do. According to an assessment of "Surge Hearing Locations," dated April 4, 2017, the Department of Justice found six of the 17 immigration courts receiving transferred judges could not give those judges enough work to support a full docket. 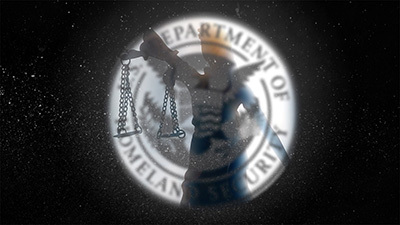 In the assessment and supporting documents, DOJ staffers wrote about an immigration court in Karnes, Texas, where there was "concern regarding the lack of filings to sustain details from other courts"
The same assessment says another court in Texas's Prairieland Detention Center "is not receiving enough cases to truly fill a docket or even come close to it." At the court inside Texas’s Dilly Family Residential Center, DOJ staffers wrote "the one judge detailed there is not occupied." Staffers also noted two empty courtrooms at New Mexico's Otero immigration facility -- and concluded there were "insufficient caseloads for further deployments." Scheduling records show the Justice Department repeatedly assigned five transferred judges to the immigration court in Louisiana's LaSalle Detention Facility, even though an assessment of the court found "at this time there is not enough work for five judges. There is enough work for a reasonable docket and three judges." The report went on to conclude that inefficient transferring of detainees often means "there is very little work for a detailed judge to complete." In most cases, the transferred judges spend two weeks to a month hearing cases in out-of-state court. The Department of Justice declined to comment for this story, but in response to a previous inquiry by Politico, an agency spokesman said "After the initial deployment, an assessment was done to determine appropriate locations to increase the adjudication of immigration court cases without compromising due process." While transferred judges may have had light workloads when they arrived in some of the border state courts, there is evidence the dockets they left behind suffered in their home courts. A joint analysis by the News 4 I-Team and Telemundo 47 Investiga found case adjournments in New York City’s immigration court went up 276 percent -- from an average of 139 adjournments in the three months before the judge transfers began, to 522 in the three months after judge transfers began. Despite that, the Trump administration has increased its target from 50 judge reassignments, to at least 137 nationwide. Nineteen New York City immigration judges -- more than half of the city’s 32-judge staff – participated in the temporary transfer program. Olga Byrne, an advocate for refugees at Human Rights First, a nonprofit that represents asylum-seekers in court, said immigration attorneys at her organization have noticed the spike in adjournments and questioned whether judicial assignments border state assignments are worth the trouble. "We’ve been in touch with a couple of judges who have expressed a lot of frustration about being sent to a detention center where they could take a long lunch break," said Byrne. "They had only a few cases to consider for a whole week and yet they had to defer hundreds of cases from their docket in their home court." But it is clear the Trump Administration knew its decision to deploy more judges to border states would likely have negative impacts on dockets those judges leave behind in their home states. In response to questions from U.S. Senate staffers, a DOJ memo concedes that "it is likely that the case backlog will increase for the locations from which an Immigration Judge is assigned." In New York City alone, there are more than 82,000 immigrants waiting for a court hearing. The average wait time is north of two and a half years. 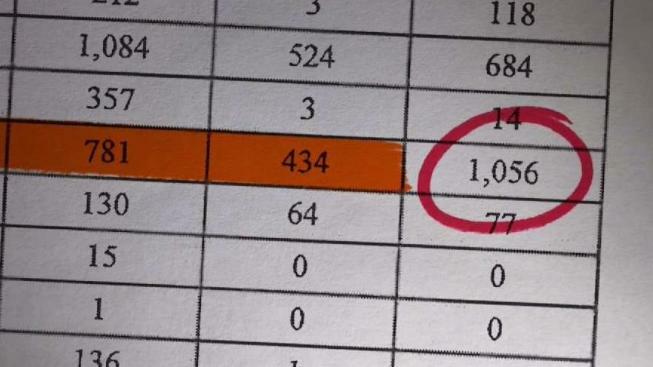 Nationwide, the immigration case backlog stands at more than 617,000. Rep. Adriano Espaillat (D – Upper Manhattan), who came to America as an undocumented immigrant, said he fears the Trump administration is over-staffing border state courts to rapidly deport current border-crossers, while ignoring the population of non-detained immigrants who’ve been living and working in America’s big cities, hoping for a shot at citizenship for years. "By shifting judges to the border, they are in fact maybe predicting that there will be lots of cases before them in those jurisdictions," Espaillat said. "I am concerned this is part of a greater effort to put together a deportation machine – and proceed to arrest and deport thousands of people who are undocumented." This isn’t the first time a presidential initiative has been criticized for mucking up immigration court schedules and exacerbating the nationwide case backlog. During the Obama Administration, the Justice Department launched an effort to prioritize court hearings for unaccompanied minors who enter the country illegally. Byrne says that too was a political decision which negatively impacted the court’s ability to handle thousands of older cases languishing in the backlog.